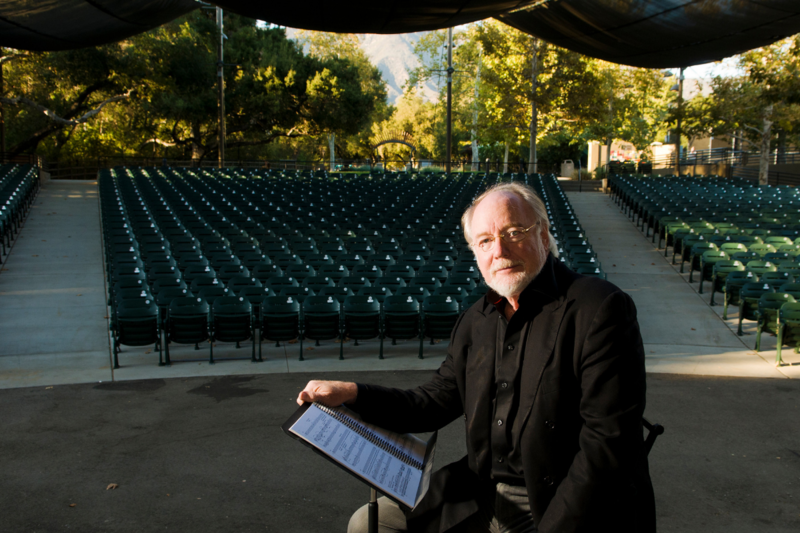 After years at the helm of the Ojai Music Festival, Artistic Director Thomas W. Morris is ready for his next chapter. He says that the festival will be in good hands and that new creative directions are on his personal horizon. Morris ends his stay having fostered a legacy of eclecticism and invention, and he’s grateful for all that he’s learned at the helm of one of the world’s most iconic musical gatherings. On a sunny winter day, he took time to sit down with the Ojai Quarterly to reflect on his time introducing our ears to sounds strange and wonderful. conversation has been edited for length. OQ: When did you come on board, and what did that process look like? TOM MORRIS: My first Festival as Artistic Director was 2004. I was approached about three years before that. You know, the way we work, you have to plan three-plus years ahead. From my standpoint, the timing was impeccable because when I got the first call … I was going to retire from the Cleveland Orchestra. It was 17 years there and I decided at age 60, it was time to move on … And the other two things that were intriguing to me about this – I mean, I ran the Boston Symphony and the Cleveland Orchestra for 35 years as the chief executive – but my real interest was in the artistic side. I was involved in all that in the orchestra world, I wasn’t responsible for it. And so, in essence, switching a career from the executive side to the artistic side was intriguing to me. It fit what I love. It actually focused it. Obviously, the reputation of the Festival goes without saying. But the fact that it was small-scale but high-impact also appealed to me. OQ: Had you been to Ojai previously? TM: I had. I started with the Boston Symphony in May, in the summer of 1969, and lo and behold, who should arrive as the Symphony Conductor but (current San Francisco Symphony M usic Director and seven-time Ojai Music Festival Music Director) Michael Tilson Thomas, a young hotshot conductor. And Michael, as I got to know him, was always talking about this Festival, the Ojai Music Festival, which I’d not heard of, and Ojai really gave Michael his break. But I never went to the festival, for various reasons, until 1996. And I fell in love with it. OQ: You feel like there’s a different kind of integrity here, in service to the art? TM: If you look at my career – where I went from the Boston Symphony, which is a huge conglomerate – Boston Symphony Orchestra Incorporated, which I was the CEO of, ran the Boston Symphony, it ran Tanglewood, it ran the Boston Pops – it’s massive. I went from there to the Cleveland Orchestra, which I think is the best anywhere, but it was a much smaller and more focused organization and it had a far greater belief system around the culture of art. And then to Ojai. So my whole career, I like to think of it as sort of an increasingly deep focus, less about size than meaning. OQ: The impact of what you’re doing hasn’t lessened any. TM: It’s gotten bigger in fact… Everyone thinks growth means bigger stuff. But it can also be smaller stuff or better stuff, or it can be different stuff. OQ: What have you learned? TM: It’s basically about a far broadened set of musical possibilities. And when I came here, I immediately sort of said, well, we’re not going to be orchestral. There are times in Ojai’s history when there was a lot of orchestra. I just didn’t want to do that. First of all, the facility is too small for a big 100-piece orchestra and also there’s a pretty great orchestra just down the road at Disney Hall. The music, to me, has grown from this magical setting and has this incredible audience. It s a magic alchemy, if you will. So I would describe my 16 years here as sort of the education of Tom Morris and the immersion of Tom Morris in these other worlds of music. Society’s changing, but the world of music is completely changing now. Because genres are disappearing and everything is melded together and in fact a lot of the creative excitement is actually between the genres. Right! And that was like something transcendent. TIhat’s the only way to describe what I witnessed there. TM: Of course! And you can’t describe what kind of music that was. TM: It was a collision of four artists who had not worked together before, who wanted to work together. And we created the opportunity for them to work. And I remember Vijay had said to me, you know, I’ve never worked with Zakir Hussain and I’ve never worked with Aruna Sairam and I want to do that. So we put it together. They all came with ideas and to watch the creation of music in front of your eyes- and the give and take and how it was morphing- you were watching creativity in real time. OQ: High, high, high level creativity. TM: Beyond high level. And to me, to be involved in that kind of artistry, that’s not something you simply can do in a symphony orchestra. So, my learning here has been one of vastly expanded horizons and expanding and changing personal tastes and a whole new world of artistic friends. And what’s interesting, I find, if you look at my work here, it’s very organic and cumulative. OQ: It wasn’t a planned arc. TM: What was really happening was as we started to try different things. It expanded the range of possibilities, which expanded the range of possibilities, and if you look at the sequence of Music Directors, you can see that each one was in such a completely different direction, which is one of the beauties here. OQ: I imagine you wouldn’t be stepping away if you didn’t have full confidence in your successor. TM: I have complete confidence in (incoming Artistic Director) Chad (Smith). I couldn’t have a better successor. In my view, Chad is creative, he’s got a broad range of interests. He’s been in the orchestral world, but all you have to do is look at what he’s been doing (as the COO) at the Los Angeles Philharmonic and the range of artistic offerings there, which puts most other orchestral offerings to shame, in my view. OQ: Do you think he’ll be as eclectic? TM: What I hope is that he treats it as a learning laboratory for him, as I was able to do. What I’ve learned is that music exists in space, in a space, and how that space feels is where you pull the energy from. And this is one of the most spectacularly beautiful settings in the world.111ere’s nothing normal about the concert facilities. I mean, it’s outside, it’s amplified, and it has this audience which just is so into it. Every artist who comes says it’s the greatest audience we’ve ever played for because they trust, they respond, whether they like it or they don’t. In Ojai, it’s about the idea of Ojai. The Festival is about adventure, it’s about challenge, it’s about surprise. OQ: There’s always the possibility of that magic we talked about. TM: Correct. And it’ll always happen v somewhere. And think about that from an audience perspective. OQ: Right. Just the act of attendance is in some way experimental. But with that experiment comes sort of an infinite range of possibility of experience. TM: I’ve been widely quoted on this. I look at concerts as experiences, as events. It happens at a certain time. And I think we can learn something from sports events. Why do people go to live sports events? OQ: You don’t know what the outcome is going to be. TM: Correct. And every concert that I’m interested in putting on, and everything we do here, the outcome is uncertain. That edge is why people who want to go to art exhibits or shows, that’s what excites them. OQ: So why are you leaving us, and what’s next? TM: I don’t think you should overstay your welcome. A good friend of mine once said, “Never run the risk of being forgotten but not gone.” I seem to have this habit, Boston was 17 years, Cleveland was 17 years, and this is 16. It actually adds up to 50, which I find curious. I’ve changed it a lot here and it’s time for somebody else to take it to the next stage. So that’s the first reason, which is very personal. And the second is, the organization in 2021 and ’22 is celebrating its 75th anniversary. There was some talk that I would see it through the anniversary, but the 75th anniversary ought to be a time to propel forward. OQ: So what are you going to do? TM: I don’t know yet. When you change what you’re doing, I look at it as two decisions. It’s a decision to leave and it’s a decision to go someplace. And that’s happened consistently in my career … I’ve found that one you’ve jettisoned what you’re doing, the possibilities explode. And I’ve been very active recently with Interlochen (the famous youth arts education institute in Miichigan) as a board member, and I’m very interested in how artists are trained. So my guess is somehow that’ll be a factor in what I’m doing going forward. It’s not out of the realm of possibility that there might be another festival in the offing. I’m a complete failure at retirement. I keep going back to this learning thing. The greatest thing about doing what I do is I get to work with the most creative people. It’s a very sparky, creative existence. And that’s something I just don’t want to leave. I’d rather have an effect through doing than reflecting. OQ: You’re all about the experience. TM: This place is just such a freeform laboratory. It’s a humbling experience having the artistic responsibility for a venerable organization. It’s gone from being sort of fundamentally contemporary classical, and almost European music, to much wider, which to me reflects what’s going on in society and in the world today.1he range of artists who come is just completely broader and different and the possibilities have expanded, radically. OQ: Thank you for helping to shepherd that. TM: It’s not been a burden. It’s a personal quest for me too. It’s affected me and taught me. You know, one of the great things about not-for-profit organizations like this one is , that they give you the opportunity to lead and to create and I’ll forever be grateful to the Ojai Music Festival for the belief and support and enthusiasm. And the complete lack of fear. OQ: We’ll always be grateful to you for being willing to fearlessly undergo that journey in front of us and with us. TM: It’s very personal to me, and I think that’s what it has to be. I will say that I’m the luckiest person. I’ve had the luckiest career of anyone I can imagine. I’m actually paid to do what I love. What’s better than that? And this year’s going to be about as perfect a capstone as I can imagine. There are going to be moments of awe and moments of laughter and moments of fright. And the level of artists coming, you just can’t get better artists than are here this year anywhere. 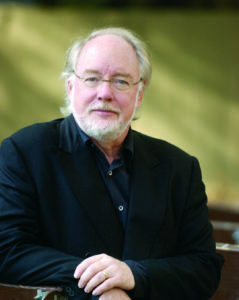 The Ojai Music Festival returns for one last go-round with Thomas Morris as Artistic Director this June 6-9. This year’s Music Director is multi-faceted Canadian conductor and soprano, Barbara Hannigan. Tickets and more information about the events can be found at ojaifestival.org.